Wildlife sanctuaries in Idukki have always topped the list of travel attractions. The district is filled with forests, so there is chance to sight animals during a waterfall trek or while driving through the road or even while walking in the outskirts of Munnar. However such random experiences may not equate to a wildlife sanctuary tour, where there is opportunity to see several animals and birds. This is the biggest and the most famous of all wildlife sanctuaries in Kerala. Expect crowds at all times. For the same reason, a quick tour to here may be disappointing. You may end up confronting long queues, dull boating with no sight of animals etc. If you want to see animals, give yourself a favour, and arrive for boating early in the morning, even before the ticket counters are open. People in the first boat tend to see elephant herds, bison, deer and other animals along the banks. When the gates outside are open, there is going to be a run from there to the ticket counters. There are also a variety of programs for visitors. Of them, the two or three day treks with camping in the forest, is a great experience well worth the hefty fee. Opt for it only if you really love nature. No denying that there are many Tigers at Periyar, however seeing one is very rare as the sanctuary is a whopping 925 sq kms in area. Another option to get the best out of Periyar is to stay in a jungle resort for a day or two. 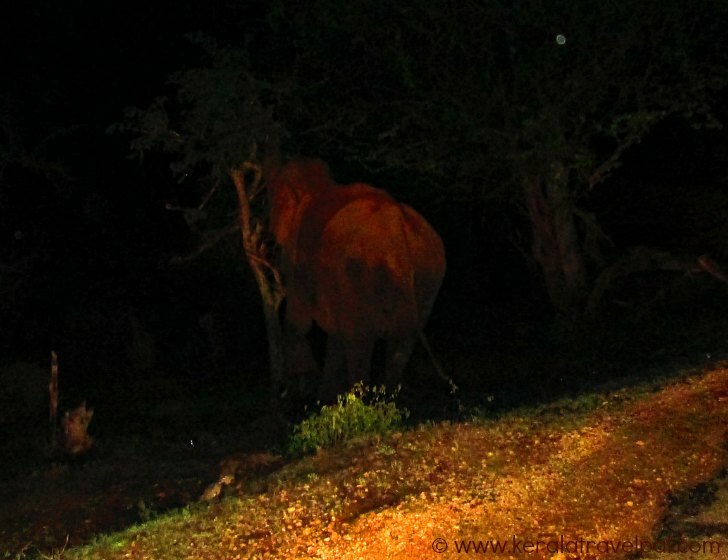 Elephants roam around their backyards at night. No guarantees, but if you are lucky may glance them in the morning. Periyar Tiger Reserve is located in Southern Idukki. This sanctuary is much smaller than Periyar Reserve, nevertheless a respectable 105 sq kms in area. The forest here is an extension of Periyar, so the flora and fauna are similar. Truly remarkable, this sanctuary has 3 dams next to it. They have a common reservoir, an artificial lake about 33 sq kms in size. Boating in the lake is a wonderful experience. Animals frequent the banks. Panoramic views are top class too. The dams are also tourist spots, especially the Arch Dam. Access restrictions are in place except for holiday seasons such as Onam, Christmas etc. This elephant corridor used to be known as Idukki Elephant Sanctuary. Wild elephants are a huge attraction even now. The rugged terrain of Chinnar may have the look of an arid land. Cacti clusters, thorny bushes and overlooking palms are guardians of a thriving eco system. It is unsurprising to see large numbers of reptilians in such a land. How do we explain the presence of large herds of elephants, tigers and a wide range of other animals? In travel circles, Chinnar is known as the land of Giant Grizzled Squirrel, Star Tortoise and Mugger Crocs. Seeing them in their wild habitats is a dream for animal lovers. You can explore Chinnar in a variety of ways. There are tree houses, treks and look outs. There is also the opportunity to spend time at Thoovanam waterfall, one of the best cascades in Idukki. The waterfall is deep within the jungle. Only nature lovers are entertained by the idea of walking about 3 kms through the jungle. Chinnar is in Northern Idukki, next to tourism locations such as Marayoor and Kanthalloor. The high hills north of Munnar are home to an endangered species of animal, the Nilgiri Tahr. 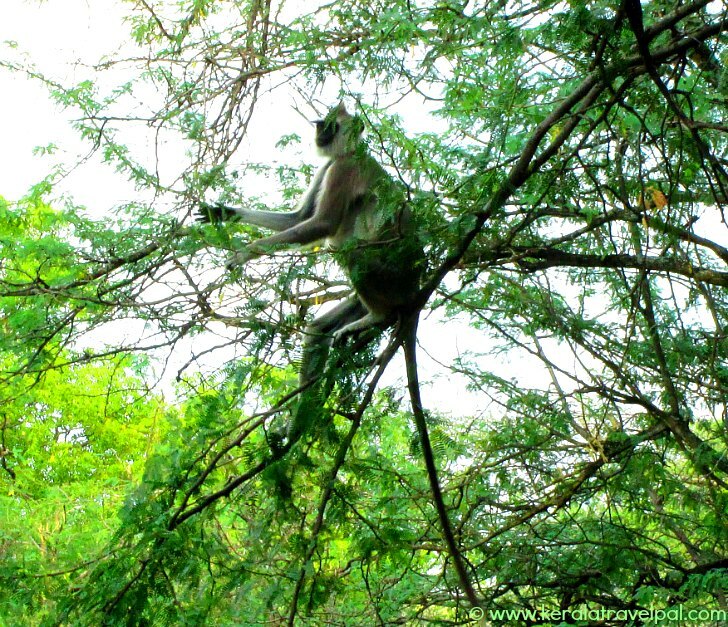 The prime focus of Eravikulam Reserve is to protect them, although there are several other types of animals found there. Nilgiri Tahr is a type of mountain goat. Visitors have to leave their vehicles at the gate. The Park has buses to take them to the look outs. The peaks of Rajamala and Anamudi are within the sanctuary. Their heights and slopes are sufficiently awe inspiring to offer scope for some serious mountain climbing. Anamudi Shola, Pampadum Shola and Mathikettan Shola are forests near Munnar. They are ecologically significant and hence declared as National Parks. They are very small in size; the largest is only about 12 sq kms. Great places to learn about jungle eco systems, they are open to visitors. Kurinjimala is home to a rare species of plant – Strobilanthus (Neelakurinji). It flowers only once every 12 years, so has mystery attached. To protect these plants, Kurinjimala is also declared as a sanctuary.